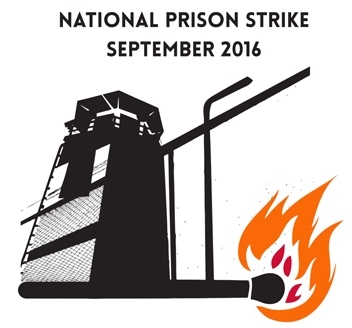 Critical Resistance joins the many fighting against the prison industrial complex in commemorating this month as Black August. In a month dedicated to prisoners’ reflection, education, struggle, and solidarity, we take the time to reflect on and be inspired by the deep legacy of Black resistance in August as we continue to work against jail expansion in San Francisco and Los Angeles, policing in Oakland and Portland, and advance calls to shut down the notorious Attica prison in New York. A central part of our work, and particularly significant during Black August, is to uplift the voices of imprisoned people struggling against their oppression. Next month, two important events are taking place, organized by currently and formerly imprisoned people. Please see below for more information, and join us in amplifying the powerful movement behind prison walls. Critical Resistance works for an end to imprisonment and stands behind prisoner led efforts towards this end. From the Prisoner Led Call: In one voice, rising from the cells of long term solitary confinement, echoed in the dormitories and cell blocks from Virginia to Oregon, we prisoners across the United States vow to finally end slavery in 2016. To achieve this goal, we need support from people on the outside. A prison is an easy-lockdown environment, a place of control and confinement where repression is built into every stone wall and chain link, every gesture and routine. When we stand up to these authorities, they come down on us, and the only protection we have is solidarity from the outside. Mass incarceration, whether in private or state-run facilities, is a scheme where slave catchers patrol our neighborhoods and monitor our lives. It requires mass criminalization.